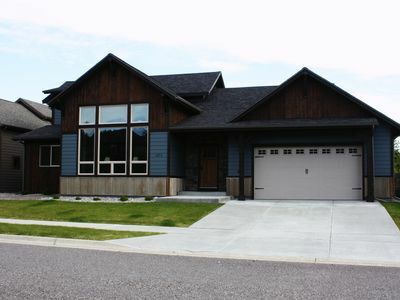 Beautiful vacation rental close to Bozeman airport, downtown, and MSU campus. 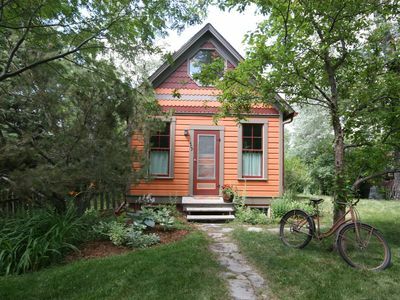 A great getaway location! 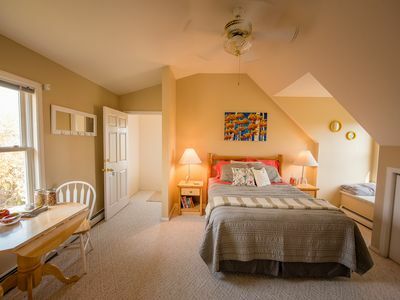 Vaulted ceilings, dormers, and a beautiful bay window will charm you in this wonderful room for two. 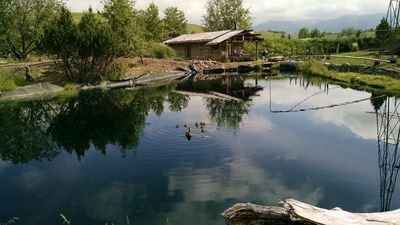 Hiking, fishing, Bridger Mountain Resort Skiing, Big Sky Ski Resort just around the corner, parks, walks, shopping and dining are just down the road. 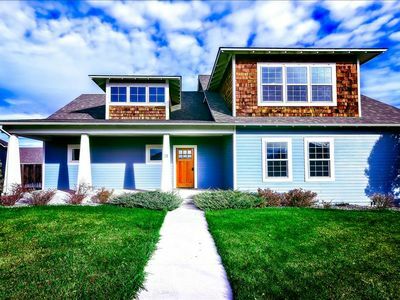 Seven minutes to the airport will give you the comforts of home with quick access to your flights. 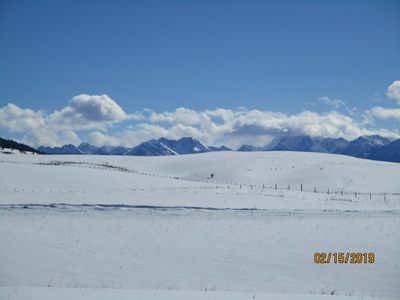 Come enjoy Big Sky country from our comfortable vacation rental. Come be our guests. 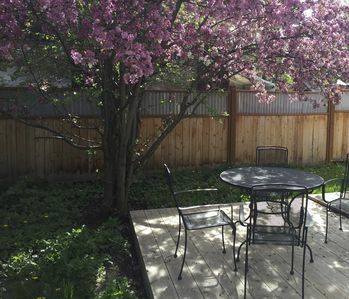 Our Bozeman Vacation Rental is 2 blocks from a park filled with a tennis court, playground, baseball diamond, and basketball court. Mountain views all around and they will take your breath away. 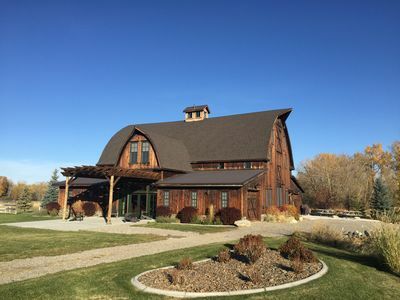 Travel less than 10 minutes to historic Downtown Bozeman to enjoy boutique shopping, local dining, a local distillery, Cider House, local brews, wine bars, and antiques. Great skiing is just 30 to 45 minutes away in both directions. Ski the Cold Smoke at Bridger Bowl or tear it up on the long runs at Big Sky Resorts. 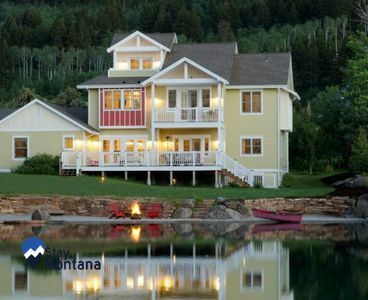 Montana State football games are coming up and this is the perfect location to return to after the Bobcat games. Inspiring Bridger Mountain views out most of our windows. 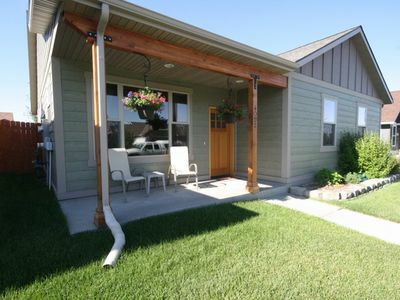 Of course you can see the Bridger Mountains from the game pit, the lawn chairs, and the spacious deck. Grill out on the barbecue in the evening and enjoy the wildlife every morning. We have wildlife visitors from rare birds, rabbits, and the occasional deer family who stop through the yard. Sleeping two people comfortably, this unit offers property hot tub access, tub, standing shower and bathroom, mini fridge, and microwave. Private key code access provided. 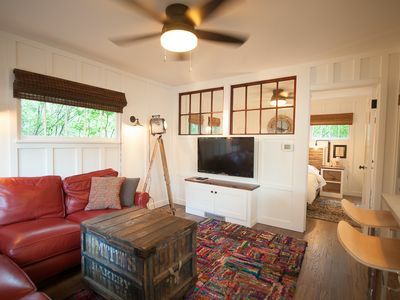 A romantic getaway or solo adventures, this is the rental for you. Inquire about pets please! They would love the view, too! Thank you! And we look forward to meeting you. 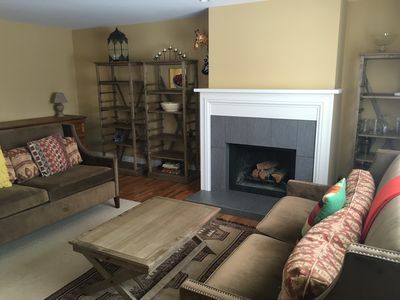 Three Spacious, Elegant Suites. 5 Minutes to Rockin' TJ, Close to Hart Ranch! 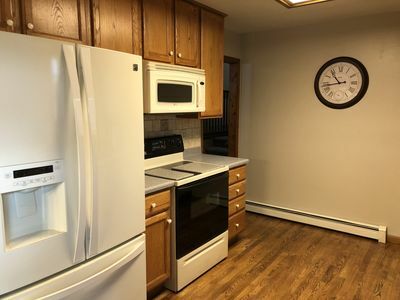 Comfortable, clean 3 bedroom house! 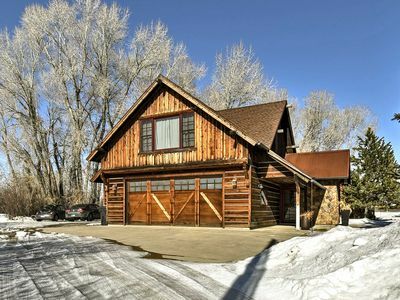 Centrally located in Bozeman! 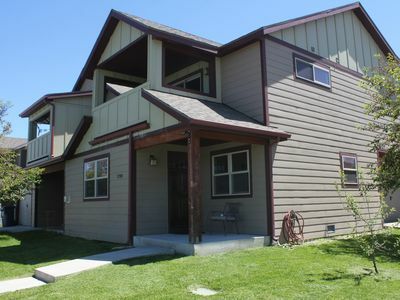 Spring Break Special $275/night 4 guests / Mountain views.. 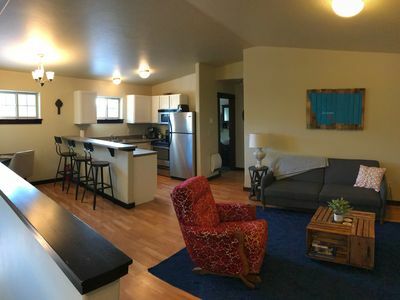 Perfect 1 BR Apt for your Bozeman/Big Sky/Montana adventure! 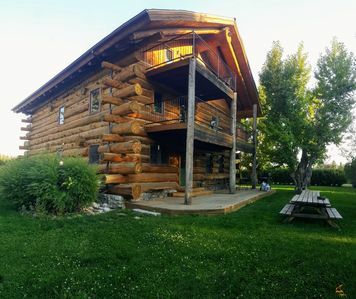 Lucky Dog Lodge - Spectacular Large Group Accommodations! 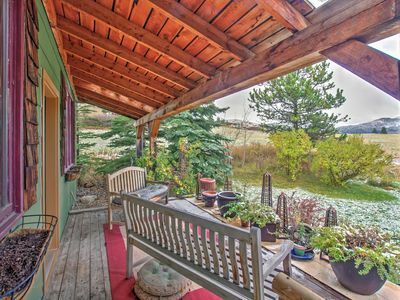 Bozeman House w/Splendid Mtn Views - 10 Min to DT! 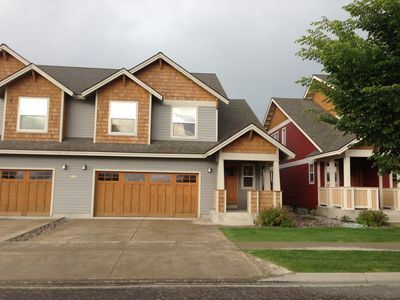 3bd/2.5ba - pet/kid friendly - park and trails across the street. NEW! 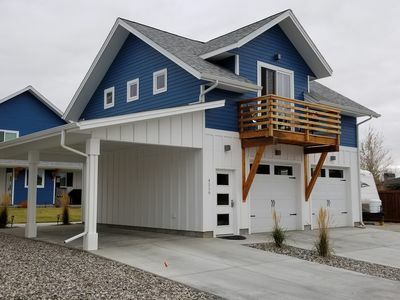 Modern Bozeman Home 20 Mi. to Bridger Skiing! 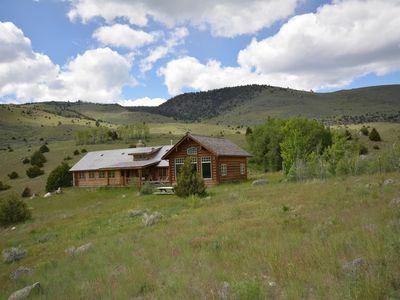 close to yellowstone park. bring your horses and fishing poles.